This Mercedes 230S in today’s auction is not just a beautiful-looking car, but it is also a piece of automotive history: It is likely that thousands of people owe their lives to the pioneering engineering work on crumple zones that were premiered on this model. 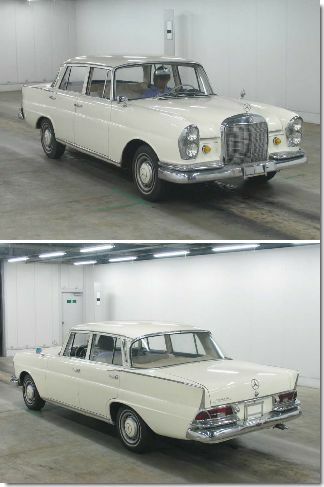 Ironically, this particular car was graded R in the Japanese car auction due to its front accident repair history. Nevertheless it ended up fetching almost 500,000 Yen, and I am sure it will be a really great car when completely restored.